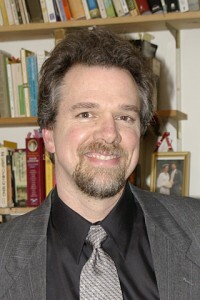 Joseph Miller is a freelance writer who has penned many classical music and theater reviews for The Santa Barbara Independent. Articles can be found here. Joseph hosts The Classical Now, a two-hour weekly broadcast of classical music and related interviews, airing Sundays 2pm—4pm on KCSB 91.9 FM Santa Barbara, or streaming www.kcsb.org. In 2006 he was awarded a Santa Barbara Independent Theater Award for creating “Walt Whitman, Radical Patriot,” a staged recitation for four actors and multimedia, which played at Victoria Hall Theater in October 2005. From 1996—2005 Joseph sang with Canticle A Cappella Choir, under the direction of Phyllis E. Zimmerman. He also served on the board of directors and wrote CD liner notes. For more than 30 years Joseph has worked in the window covering industry, and currently manages residential sales for Santa Barbara Screen and Shade. Joseph has been a member of the Institute of World Culture since the mid-1980s, where he has spoken on Walt Whitman, P.L. Travers, Henry David Thoreau, dialogues of Plato, the history of aeronautics, the poetry of work, the unaccompanied Cello Suites of J.S. Bach, and other topics. Joseph grew up in the San Fernando Valley. He studied music at UC Santa Barbara and philosophy at UC Santa Cruz. In recent years he has taken up classical guitar, studying with Michael Witt.